over the US for this year’s conference and Blacksmith Wars World Championship August 18-21. Fittingly, opening ceremonies take place at Timberline Lodge, which features hand-forged iron spanning 75 years of craftsmanship. A highlight of the event is the Blacksmith Wars World Championship, a competition that gives “Iron Chef” a more literal meaning! In a contest that simulates a customer-inspired job, complete with last minute changes, teams of 4 blacksmiths will compete to win the coveted title (and prize money) of “Blacksmith Wars World Championship.” The Wars will take place each day of the conference and culminate in a final showdown on Sunday, Aug 21. 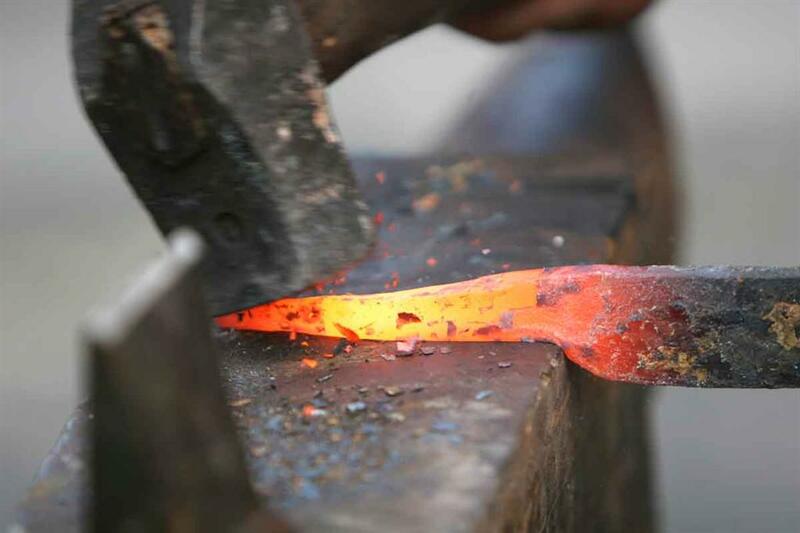 These competitions are open to the public to demonstrate the talent and camaraderie in blacksmithing and give people the enjoyment of seeing the craft in process. After the final showdown, the Blacksmith Wars creations will be auctioned off, with proceeds going to the teams’ respective associations. The Blacksmith Wars World Championship is open to the public; check with the Cascade Ski Club or Valian’s Ski Shop to confirm locations for the public events. 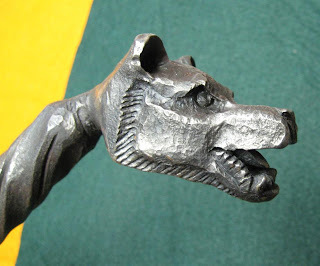 For a complete schedule of events, go to the Western States Blacksmith Conference website. There will be many demonstrations around Government Camp, however, these are closed to the public as the registrants have paid to attend these classes, lectures and events. The Hand Forged artwork and pieces available for sale will be located in the Valian’s Ski Shop building right on main street in the center of Village of Government Camp. The entire Northwest Blacksmith Association Archive Collection will be on display in The Mt. Hood Cultural Center & Museum during the conference. 9 AM till 5 PM daily.